Today I have spent half the day on my dial up, setting up my very own Etsy shop, a website that allows you to sell your handmade creations. 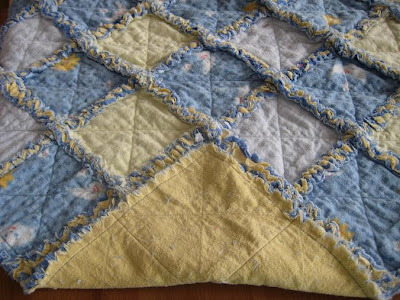 To help spread the word about my handmade rag quilts, I have decided to have a contest! 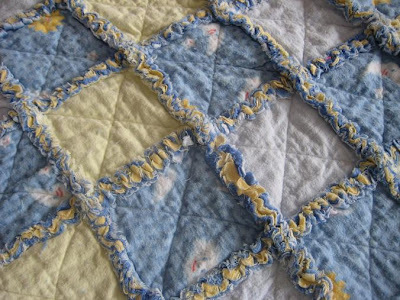 You could win a Nighty Night Rag Quilt for Baby. It is 28" x 37". It has three layers of flannelette for added warth and nicer rags. All you have to do is post about this contest and my store on your blog and then leave a comment on this post with a link to your blog. If you do not have a blog just email me (lindseydueck@gmail.com) as well as 5 other people, telling them about the contest and my store. I will end the contest on May 23rd@ 10:00 pm. Please check out all the other quilts I have for sale at my shop! 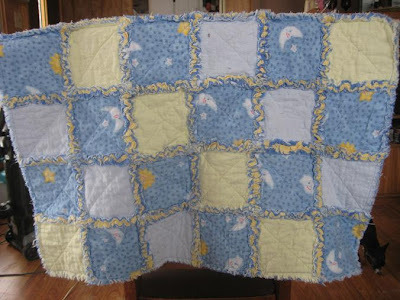 Here are the pictures of the quilt! Have a great day Lindsey! Is it too late to enter? 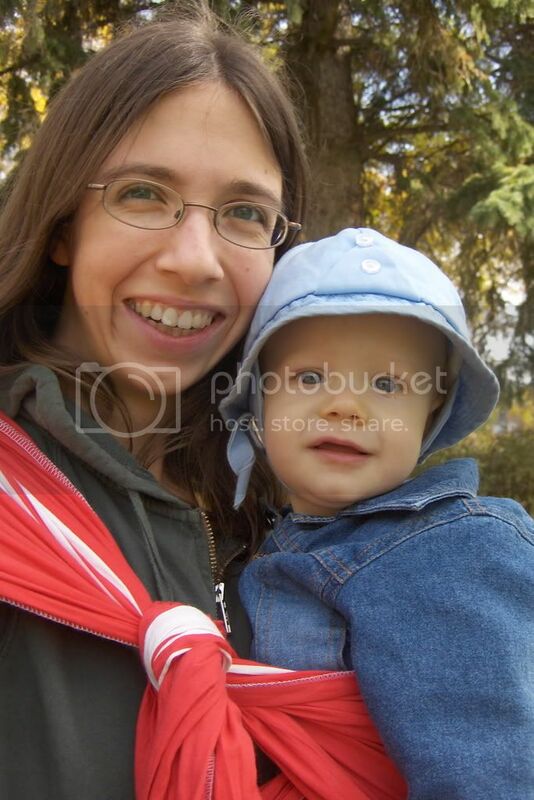 :) It says that the contest was over on May 9th...but Stacey just posted it on her blog today...sooo, I thought I'd try anyways, just in case the contest is still on! The quilt looks wonderful by the way! Hi Lindsey, I've spread the word HERE. Still hoping to possibly win this one! when does the contest close? sent you an e-mail; would love to own this quilt.